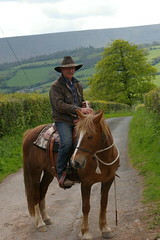 John Jones is a natural horseman who aims for lightness and clear communication between horse and rider. 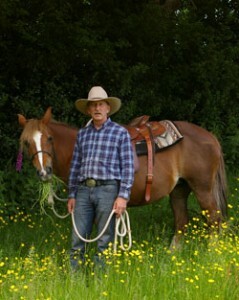 Helping both horse & owner together with patience and understanding. 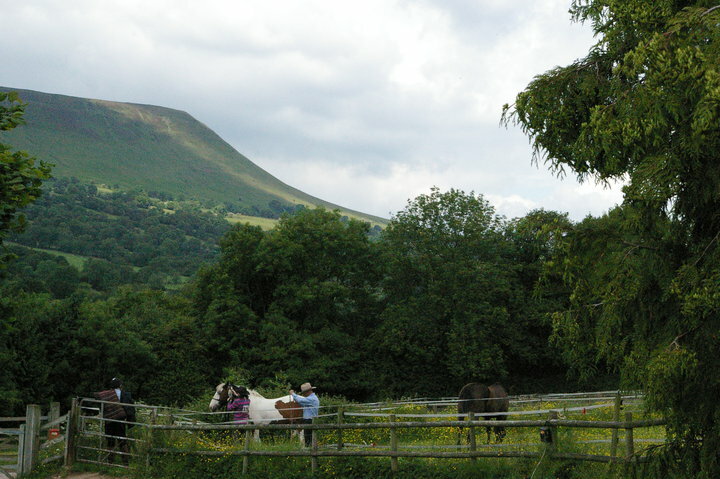 Come on our courses situated in the magical Black Mountains with or without your horse & reach another level with gentle horsemanship. Look around the website or phone 01981 510 269 to find out how we can help. You are welcome to phone 01981 510 269 to talk to John in more detail about how we can help you. 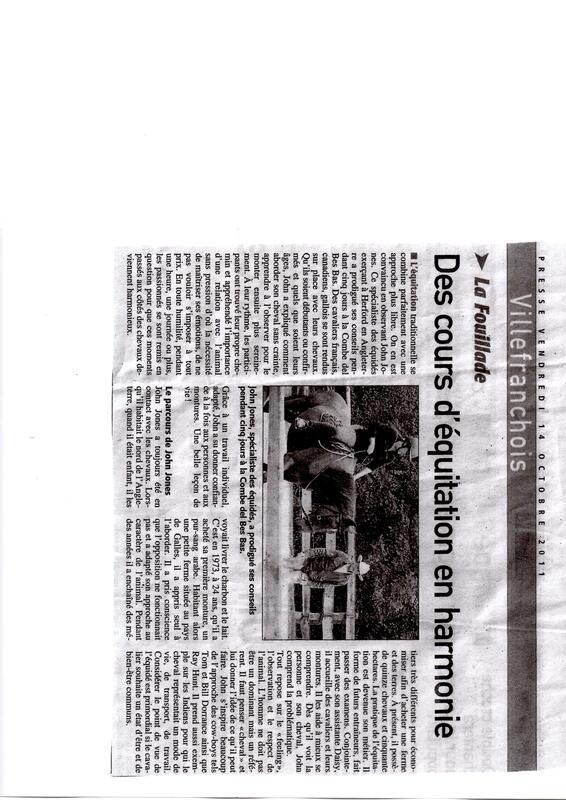 John had a fantastic time yet again in France lots of keen students and lovely horses. We would like to say a big thank you to Susannah Pook for organising everything so well. 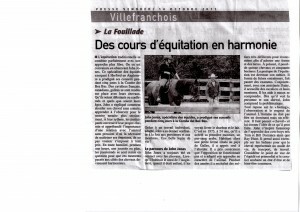 Along with all the participants human & equine. I just got back from my week on the France course having safely unloaded “my big boy” after your (much appreciated) Master Class in loading him. We then walked politely together to his field and as I tipped his face towards me to take his head collar off – he looked at me with his big brown eyes and I swear I heard him say “Thank You” . . . . I am sure I can speak for all of us on the France course that we had a blast, we laughed lots, and we learned even more. I too would like to say a heartfelt Thank You. A bargy horse is often seen as rude but it is down to us to explain to the horse in a kind and consistent way how we would like the horse to be around us. Horses are continually trying to communicate with us and it is up to us to notice and take care of the little things so the big things don’t happen. You couldn’t do anything with a horse without his willingness to try; it is vital you reward even the smallest try. Adding pressure to a situation can confuse the horse, aim for lightness and clear communication when handling and riding your horse. You need to look after both the physical and emotional well being of your horse and yourself. 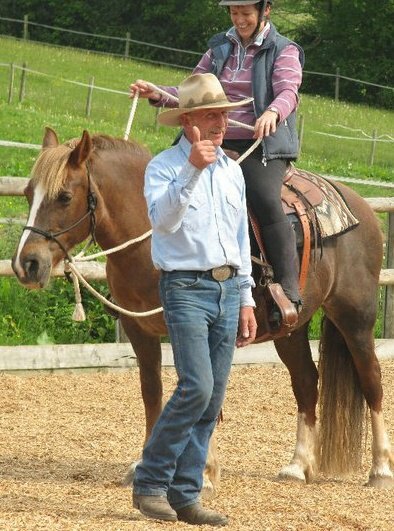 Ensuring your horse is physically capable of doing what you are asking him to do and is happy in the environment you keep him in. Your horse knows what mood you are in from the moment he sees you, it is your duty to listen and understand how he is feeling. We are all on a journey with our horses, they have so much to teach us. Don’t forget we love hearing your updates. We are having a fantastic time at Old Shawls Farm on the horsemanship course. Meeting wonderful people and horses, helping horses and people together and having fun too. No problem if the dates listed are not suitable we can arrange one to suit you. We look forward to seeing you at Old Shawls farm for fun and total immersion in horses.